Immerse yourself into the world of chocolate in this 2 hour artisan style master class. You will first be given an introduction into chocolate where you will learn everything from cacao bean to bar. Next you will be provided with a chef's hat and a chef's jacket personalized with your name. 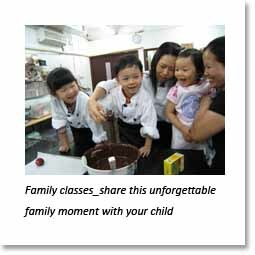 You will pick up techniques such as tempering and moulding chocolate, piping and dipping ganache and even decorating. Finally, appreciate the aroma, appearance, taste and texture of your own creations! Throughout the whole experience, you will be served with chocolate treats. You will also go home with a special surprise gift. 6 Fung Yip Street, Chaiwan, HK. Copyright 2018. Chocolate.com.hk. All rights reserved.